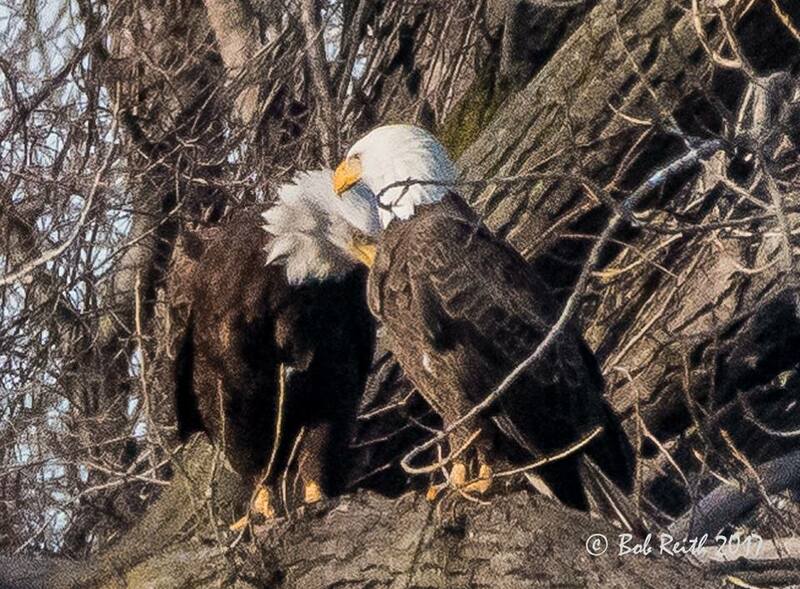 These brave Bald Eagles would go on to defy the odds and thrive in an area that no one would have dared believe, or even thought conceivable, that the species would make their homes. But just as these great symbols of our nation that came to be known as Alice and Al began their astounding comeback they immediately came under a serious threat. Choosing to place their nest on private property that had been slated for a multi-million dollar development project led the powerful powers that be to begin seeking the proper permits to have the nest removed in the name of cleaning up a former dumping ground and in the never ending quest for so called progress. School children wrote letters and folks organized. Good people of all ages of every political party held signs, made phone calls, signed petitions and let it be known that these Eagles would stay and no big developer, government agency or anyone else was going to tell them otherwise. Even after many people and groups said we were wasting our time and could never win we did succeed. And after a long hard struggle Alice and Al finally won. They were allowed to stay and over the years bring forth nine more Eagles into the world to the joy and amazement of all who came to love these two amazing raptors. In what seemed like a never ending battle with many sleepless nights and long, stressful days people joined together to save something that they felt was bigger than themselves. Just like the good people that came before them that fought for the Endangered Species Act and the Clean Water and Clean Air Act that allowed for the eventual return of Alice and Al, their grass roots movement showed everyone what could be done when good people choose and care to do the right thing. But as nature has always done and hopefully always will, the circle of life continued on even at this very special place. Life ends and is renewed and despite our best human wishes and desires one day Alice the Eagle did not return to her nest. As everyone watched the skies and looked for the Eagle with the tracking device on her back and missing wing feather, sadly she did not return. Even as the vigil continued on she would not be seen again gracing the skies of the Overpeck. Where had she gone? We in all likelihood will never know. But as in all nature’s glory and perfection a no less magnificent female Eagle arrived at the nest to join up with Al to continue the magic of this most magical place. Folks to this day including myself still look for Alice. We closely watch the skies hoping to get a glimpse of her so we can report to everyone that there is no need to worry, that she is doing fine and still patrolling the skies over her ancestral home. But in my heart I still see Alice. She is in the sky when we fight to save an endangered species and battle to preserve our woods and fields from destruction. I see Alice when introducing new people to nature and leading kids into the Meadowlands. I can still see Alice when things seem at the worst. When it feels like no one cares Alice appears to remind me that people really do care and will stand when there seems to be no hope. 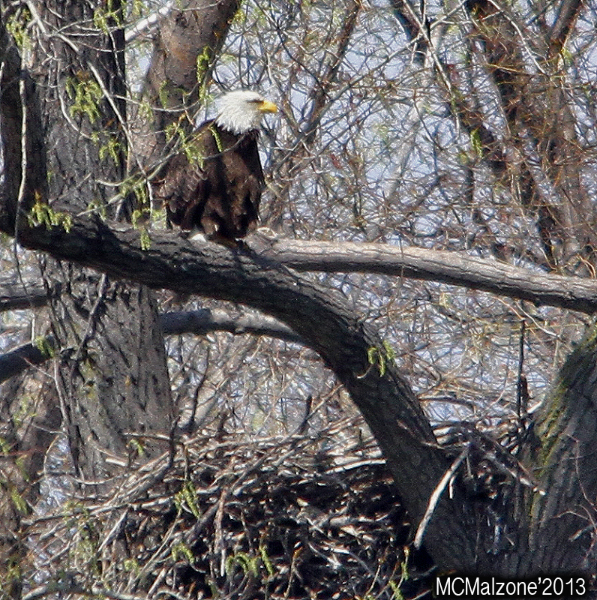 One of the last times I was blessed to see Alice the Eagle I was sitting at a picnic table near the Overpeck. I had just gotten off the phone with the U.S. Fish & Wildlife Service. They gave me the news that Alice and Al’s nest would be protected and there would be a 10-acre Eagle preserve built around the nest. I sat back, feeling exhausted but wonderful and with tears in my eyes I looked up and there was Alice! Cruising very low right over my table. I could see her tracking device and her missing wing feather and in my most human way I felt she may have been saying thank you, thanks for protecting us and standing up for us, and now it seems she may have also been saying goodbye. Alice still soars with all of us when we need her most. When we think we have done all we can do, when we think we are too tired to continue on Alice is there to remind us what we can do when we all join together to stand up for what is right. She will always be there. Just look up and you will see her too. Awesome! 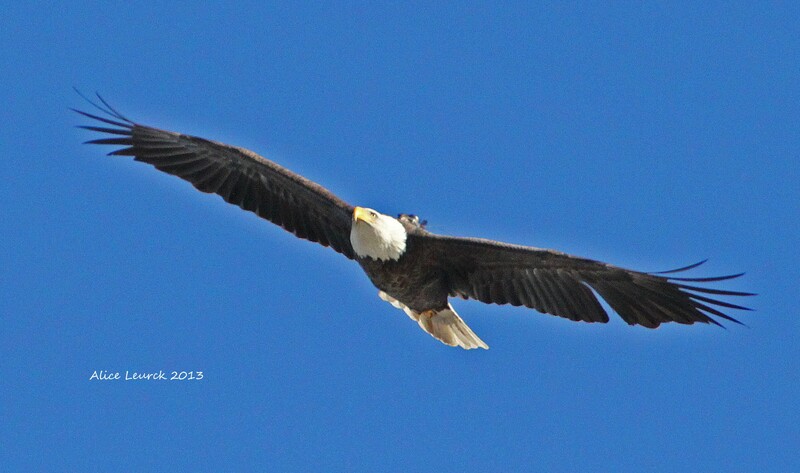 I learned how to take pictures of birds in flight from Al and Alice. I have no patience, I would sit at the end of Bell Road for hours and wait for them to fly, it was worth every minute. Thanks for your beautiful “thoughts” and sharing what I feel as well. Every work day, as I ride home on Route 46 and pass their nest, I wonder if I will see Alice & always hope that she is somewhere happy…… Thanks for the new perspective …..